If your doing Atkins Induction Phase save your cheese for the day for this yummy dinner. 1/2 lb. Ground beef or Turkey (I use Turkey). 2 cups (8oz. 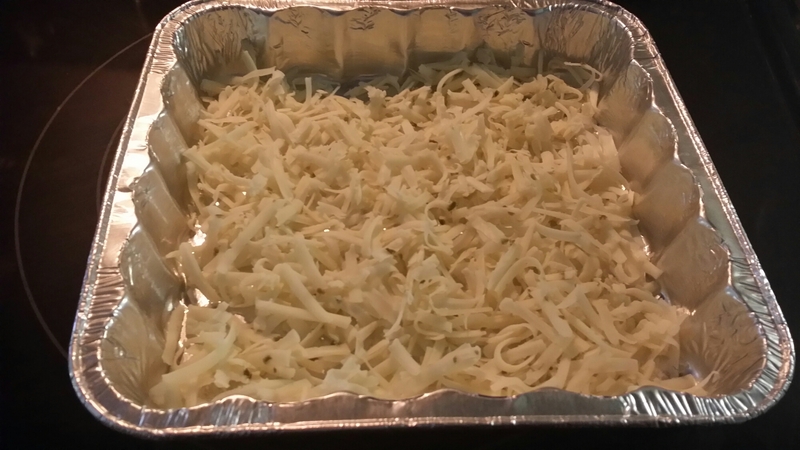 Shredded) of pepper jack cheese. In a bowl whisk eggs and heavy cream and 1/2 teaspoon of your taco seasoning. Grease small deep dish baking pan. Mine is 8 x8. Sprinkle in half your Pepper Jack cheese to cover bottom of pan. 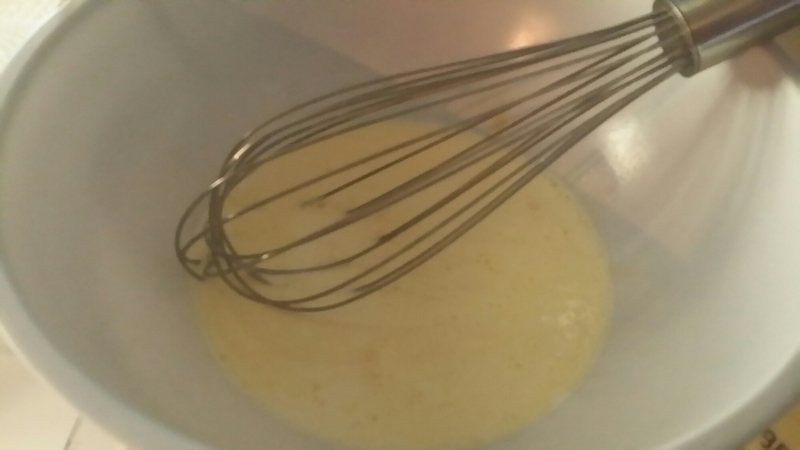 Pour in your egg mixture over your cheesey bottom. Make sure you speed even. Place in 375° oven for about 20 min. Ok, grab your skillet. Turn burner on to medium. 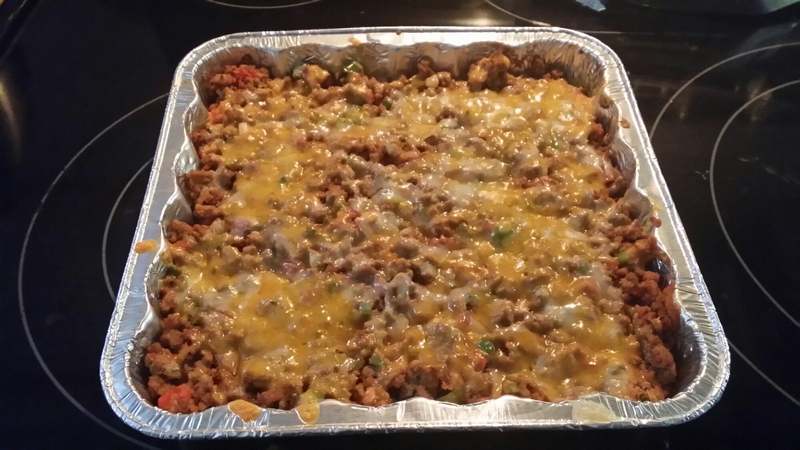 Add your 1/2 pound Ground beef or Turkey to skillet also add chopped onion , bell pepper and jalapeño. 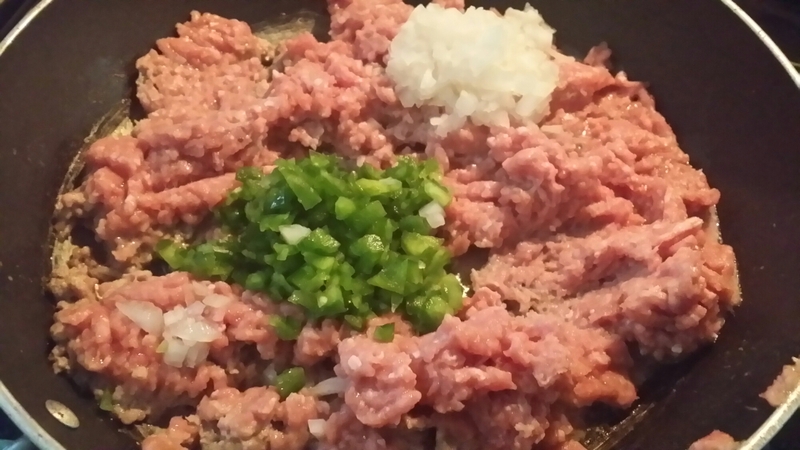 Brown protein, if using ground beef drain. Return to skillet burner off. 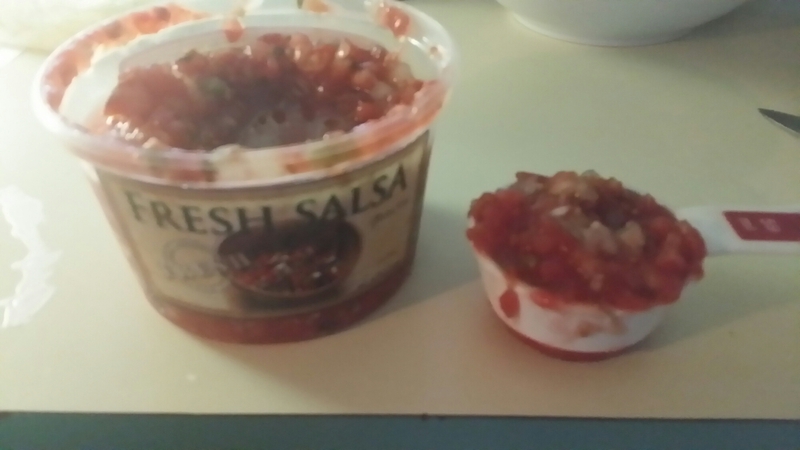 Add 1/2 teaspoon of your taco mix stir into protein mixture and then add 1/3 cup Salsa. Remove your crust from oven, should be firm but not hard. Spread protein mixture over crust. Sprinkle the rest of your Pepper Jack and your Chedder Cheese on top. Place back in oven,for about 10 minutes give or take. This recipe is really versatile. Grap your favorite toppings and dig in, I would!! Hope you guys enjoy this low carb favorite of mine, I know my pics are awful. I’m not a photographer that’s for sure. Take care. Looking at my grocery cart now compared to 8 weeks ago it’s a world of difference. Before in my cart,I may have had boxed potatoes, canned Vegetables , variety of frozen foods, and an assortment of chips and snacks. Now as I peer down into my cart I feel a since of pride wash over me, like I want everyone to notice MY cart. I almost want to go in front of the supermarket and scream,”look at what I have folks, I’m going to eat right, and love it!” I know that’s insane. My point is learning how to shop and how to prepare foods I never thought of trying is an amazing feeling of accomplishment. I want everyone to know that all the processed foods out there were REAL before someone added all the crap to make them last longer on the shelf, freezer or can. So what is Low Carb? A lot of you already know the answer to this, but let’s give it a definition. 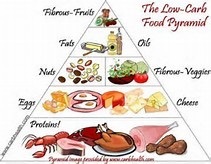 Low Carb is not just eating meat, cheese and eggs. There are a wide variety of foods. You are just eliminating high carb foods and starches example: potatoes,pasta and bread. In the Low Carb world there are many paths to choose from. Top of the list is the Atkins Diet, this Diet is my favorite it’s easy to do and the chooses are limitless, I love cheese with Atkins cheese is part of the in-crowd. I must say there is a sigh of OMG when you say your doing Atkins, a lot of folks still beleive that Doctor Atkins died of Heart Failure, hmmmm, wrong. Doctor Atkins actually died from a slippery fall and suffered head injury. That being said this plan is tried and true. High fat/ low carb. The Belly Fat Cure. 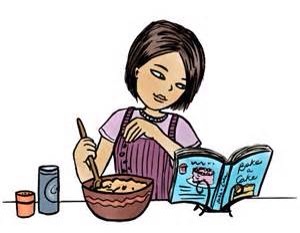 Wonderful diet has tons of good recipes and really helps you how to count your sugar/carbs. How this diet works you are allowed 15 sugars and 6 carbs a day. Here comes the math, sugars are sugars, if the package or diet calculator says this item is 5 sugars its 5 out of your daily allowance , now carbs are different. Up to 4 carbs its 0 carbs, 5-20 1 carb, 20 – 40 2 carbs, get it? Good. this is a very good program and you can make this one a life style plan as well. Paleo Diet, this one to me is slightly harder, the whole idea of this plan is to eat like our ancestors, The Caveman. No Dairy,Grains, fake foods it has to be something that is Paliothic. There’s a list, to me this is a highly restrictive for myself. I do love the idea, and I have read tons of testimony on the Diet working very well. These are just the Top three. If you go into low carb, take it from someone who could not stick with one Plan, find a plan and STICK to that plan. It’s not Healthy to be dangling on the so called Yo Yo string. That being said, things you’ll need on a Low Carb Diet. 1. Motivation. If you are NOT ready to cut things out of your diet and change your lifestyle,then this may not be for you. Thinking you can loose weight and just be a part timer, you’ll be frustrated, say the program doesn’t work and gain what weight you have lost back 2 fold. 2. Support . You are your only cheering squad, do not rely on others to get the lbs off of you and cook your food. It’s all YOU baby! 3. Enjoy. Smile, enjoy your new choice and remember how your going to feel in just a few short weeks or months. 4. Eat. You get to Eat, do not starve yourself at any time, pick your battles, find the snack that works for you and always Drink Your Water!! 5. Learn. Find out we’re your food comes from, try different fruits and veggies, have you ever did a chicken roll cooked on the grill with creamy garlic Parmesan sauce. Yummy . Learning is Fun! 6. FIBER. You need to take a fiber replacement. Using olive oil in your cooking helps, but let’s go ahead and go to the health food store and get a good Fiber, if you tell your health food clerk he/she will directly to the best one. I love a good pasta sauce, but always poured from a jar and added my own meat. After learning about preservatives and all they do to our bodies I started making my own. I must note they do say low sugar, but buyer beware, there are hidden sugars in the ingredients list. Pasta sauce is easy, so let’s get started. 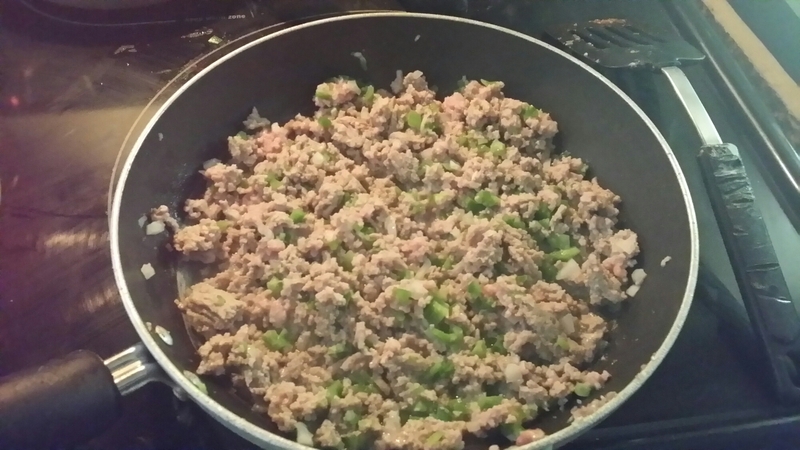 Cook and brown ground turkey or hamburger. Remove and drain grease. Add meat tomatoes and spices. Mix well and bring to a boil reduce that heat and simmer for as long as you can, no shorter than 30 min. Good sauce takes time. If you have and hour let’s go an hour. 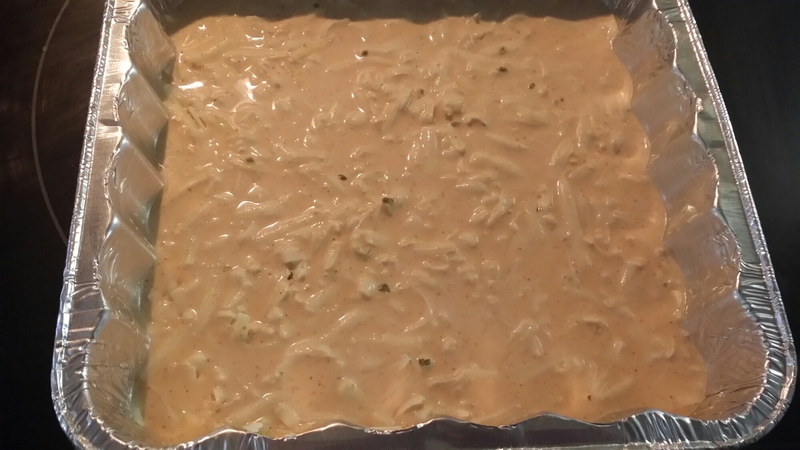 Keep a check on heat as to not dry out, just thicken. Add bits of water if it starts to dry. Top on your favorite low carb pasta dish, or use with chicken parm. Or eggplant parm. Omit the meat if you want to go reg. 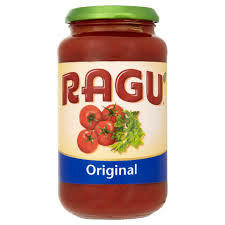 Marinara. ..yum! This is Easy, I promise. You can store leftovers in fridge for a week or freezer. One of the first things on a low carb that hit me hard were the words, NO PASTA. Ok deep breaths. I found a substitute, in fact I found a couple of substitutes. My first substitute I tried was Speggetti Squash. What to do with this, well you slice it in half length wise. Pre Heat 400 degree. Scrape out seeds. 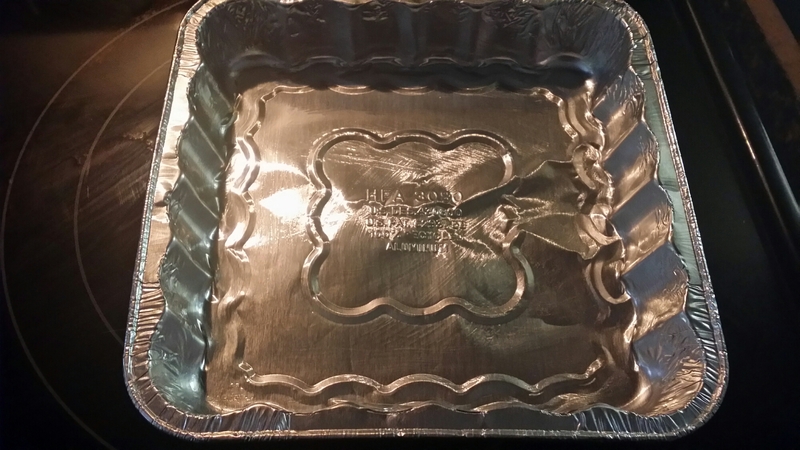 Line an oven tray with foil. Season the spaghetti squash with extra virgin olive oil (lightly), salt, and pepper. Place face down and cook for about 30 minutes until fully cooked. Pull from oven carefully and cool. Top or toss with my marinara recipe or meat sauce. My husband loves Alfredo. Parmasan cheese is great too. I’ve got a family to cook for and a home I’m remodeling not to mention a house full of pets and a chicken coop. I’m going to keep the recipes as Simple as possible, but I do have to warn you, if you don’t cook…we are going to learn. In my recipes everything is from scratch absolutely NO preservatives. Your going to learn real flavor. Please don’t be scarred we are going to have FUN! !